At nearly 8 octaves long the full-size Continuum is our flagship instrument, designed to give you a great range of playing possibilities with extensive octave freedom. At nearly 4 octaves long, the half-size Continuum is an amazingly versatile instrument, designed to give you a great range of playing possibilities for the studio and for live performances. Both are very gesturally sensitive instruments and will give you an amazing playing surface to be as expressive as you need without limitations. Fantastic in the studio as a centre-piece of your sonic armoury, the Continuum really is an instrument that will quickly become a 'goto' for your expressive sound design, gestural performances and sonic composition. Craft your sound and style using it as a stand-alone instrument, integrate it into your modular synth workflow with CV controllers, or hook up the midi out to whatever you want to control! 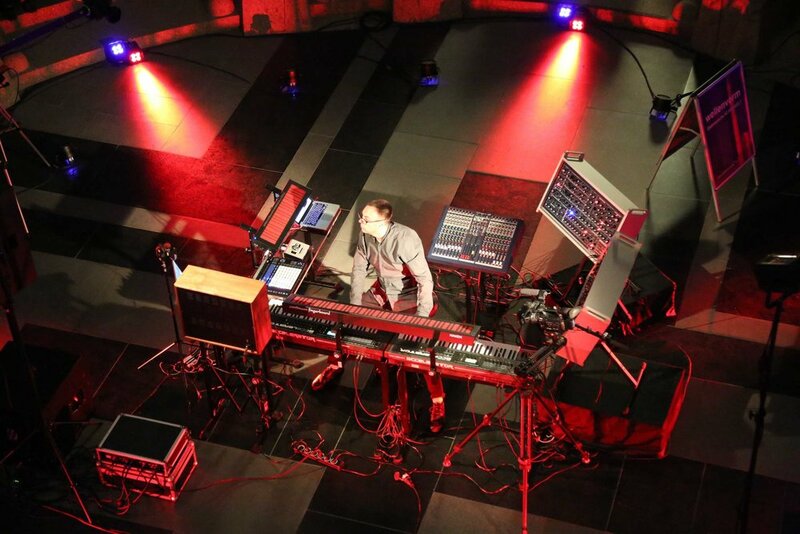 The Continuum is a truly versatile instrument for both studio and live performance. Flexibility is key, due to its robust bi-directional implementation of MPE+, the Continuum can control external synths or be played by external Midi controllers. Manufactured by Haken Audio, the Continuum has slowly evolved over many years by its hardware designer Dr. Lippold Haken, and software sound engine designer Edmund Eagan. 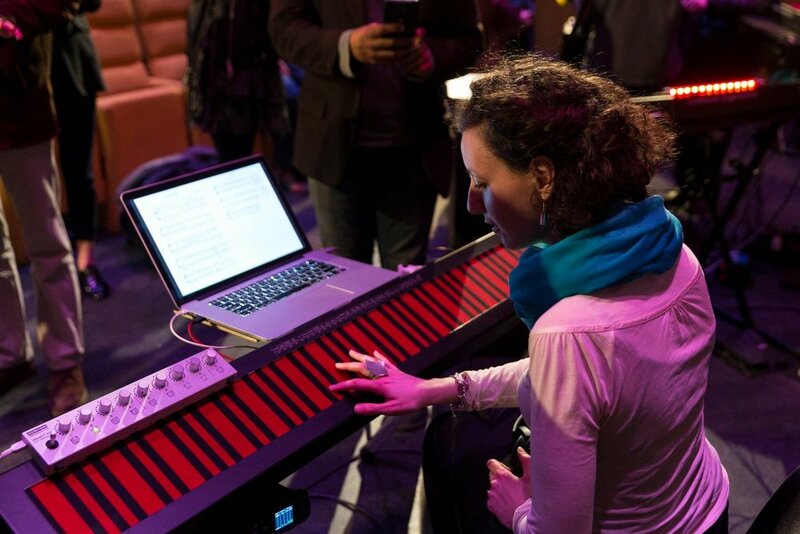 The Continuum Fingerboard is a musical instrument that allows unprecedented real-time performance control. With a greater pitch range than a traditional 88 note Midi keyboard, the Continuum offers continuous control in three dimensions for every finger that is placed on the playing surface. Controlled by Light Action, the playing surface can track up to 16 simultaneous fingers as standard, and can be expanded by adding our EaganMatrix Expander DSP. Dr. Lippold Haken's electromechanical design is unique in its concept and has been fine-tuned by him over the last 20 years. This brings something very different to the table in terms of quality and playability. Unparalleled in its ergonomic tactile feeling under your fingers, the playing experience just draws you into using it time and time again. Every nuance of finger movement is captured and translated into sound through interaction with this highly optimized playing surface. Combine this with the complete control of the fully programmable EaganMatrix sound engine and it opens up a new world of sonic possibilities. Designed and Invented by Edmund Eagan, the internal EaganMatrix sound engine is incredibly sophisticated but easy to use. The EaganMatrix takes advantage of the subtle and dramatic expressive musical possibilities of the Continuum's playing surface, offering something unique in terms of playability. This combination of hardware and software have slowly evolved together, fusing over time to become a holistic instrument. The freedom of the matrix design and deep modulation structure allows for unprecedented integration with the playing surface. This allows complex sound modulation to be assigned and mapped to the detail of your finger movements. These two major components come together to form the most expressive digital musical instrument ever made. The Egan matrix has very deep synthesis technologies under the hud to create very unique sound experiences. Ed has slowly evolved the software into something unique in terms of the types of synthesis topologies that are combined in union. Subtractive Synthesis, Physical Modelling with Modal Filter Banks, FM, Spectral Sets with Micro Analysation, including Waveguide with Feedback and Feedback Delay Networks are all at work for you here. This complex union of synthesis is what makes the EganMatrix a unique proposition in terms of digital sonic exploration. Take this and marry it with the most expressive surface available and you have a juggernaut of a sound creation tool. More information on the EaganMatrix here. Dr. Lippold Haken started development over 35 years ago on what was to become the modern-day Continuum Fingerboard. Today, the Continuum has established itself as the premier multidimensional controller surface ever designed. It has been in the vanguard for expressive control ever since it’s inception as a commercial product at the beginning of this century. The ContinuuMini exploits all this rich history and development to become the latest iteration in Hakan Audio's unique product line. The video below Loopop, see his fantastic youtube channel here. is a good introduction to the Continuum Fingerboard and the EaganMatrix. Many more details can be found in the Continuum User Guide download here and the EaganMatrix User Guide in the downloads section of this website. We can ship to anywhere in the world, but European customers are encouraged to purchase through SchneidersLaden in Berlin, Modular Square in Paris, or other European stores.